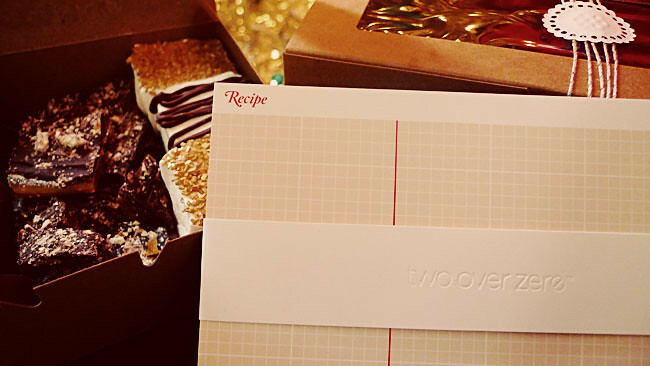 First off, the winner of the Two Over Zero recipe card giveaway is commenter #3, Barbara! Congratulations, Barbara! I'll be emailing you shortly to get your mailing address. (The winner was chosen using random.org) You guys were totally making me drool with those scrumptious-sounding recipes you listed! I'm including them as a little extra with these boxes of treats I've packaged up. I didn't get it done in time for the photo, but I'll be using one of the cards to copy the recipe for one of the goodies. 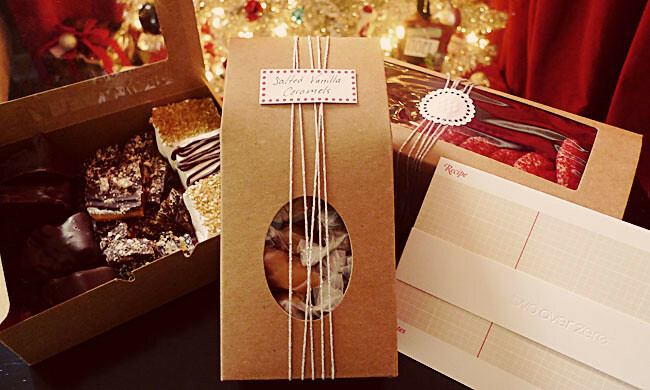 That way, the recipients get a box full of yummy sweets, and can recreate them too! I think they'll be a hit. So pretty! I love how the white bands look with your packaging!